I like Lamy pens. They may not be the flashiest pens on the market, but I like their designs. So far I have three Lamy writing instruments: a Red Safari fountain pen, and a Black Scribble mechanical pencil. 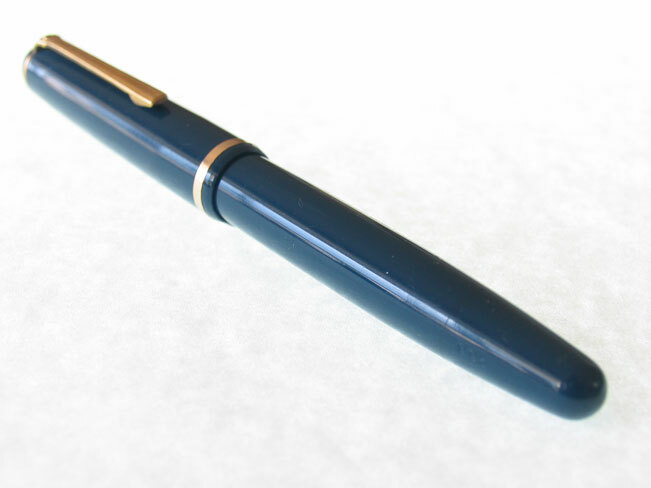 There are a couple of more Lamy fountain pens on my wish list, however, and some day they will be mine. I began checking Ebay for Lamys and saw this pen listed for $5 and decided it would be mine. I tried to do a little research on the 99 but was unable to find any useful information. There were some other 99s for sale on ebay for a lot more, but they didn’t look like this one. This one is marked 99b on the body, so maybe it’s a different iteration in the 99 line. But I figured, what the hell, it’s only $5 ($11 with shipping). 1. Even though it’s marked F on the body, it’s more like a fat medium. 2. It’s a hell of a writer. Smooth and skip free. 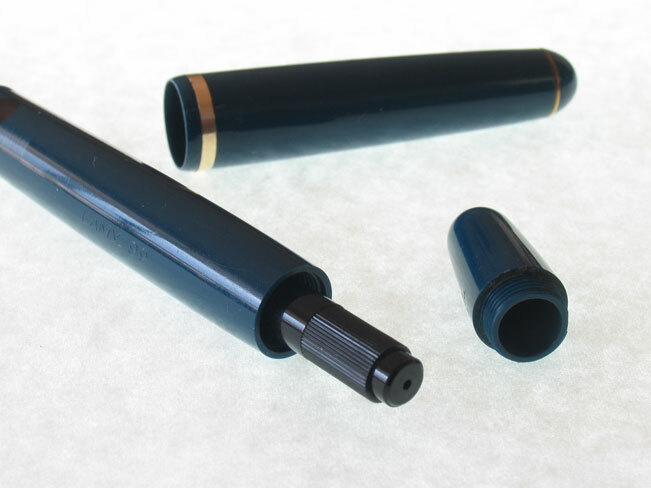 This pen is a piston loader with a large reservoir. 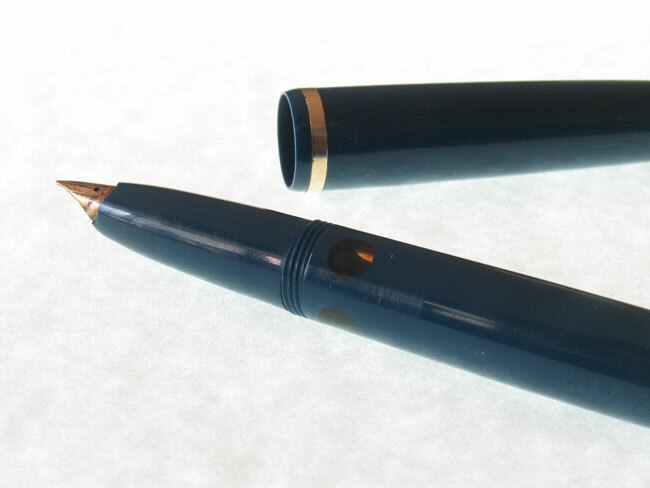 It is loaded by unscrewing the back end, which reveals the piston, and dipping the nib into the ink. Stylistically it’s a pretty basic pen with a couple of unexpected surprises. 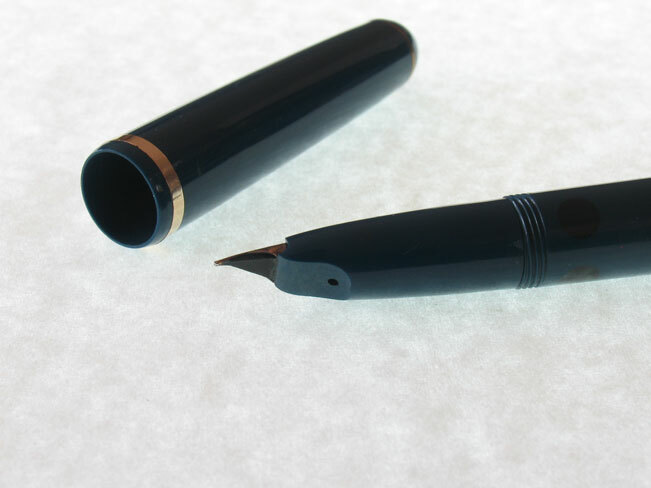 First, the nib is partially hooded, and second there are little round porthole-like windows on the grip that show the ink level. So I’m pretty happy with this pen. 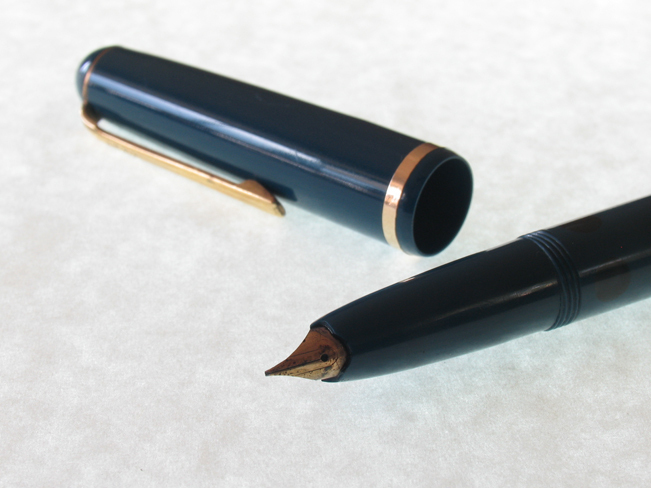 It’s in great condition (some light tarnish on the nib and a small scratch on the cap) and writes beautifully. For $5 it was a great bargain. Like I said, I was unable to find out anything about this pen, so if anybody has any information they can share, I would very much appreciate it. It has (mine has), 14kt (585) gold nib, and yes, you made a great deal! you have a great pen there. If you have any doubt please contact me!